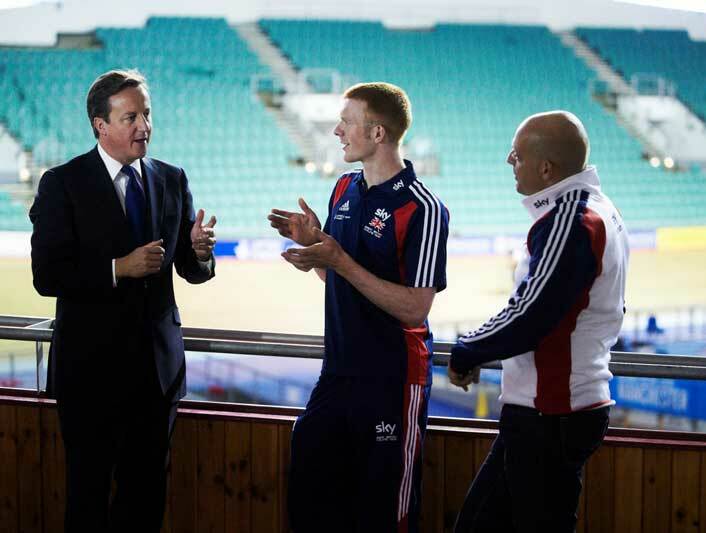 British Cycling will receive a further £1 million in National Lottery funding, Sport England announced yesterday. The money, part of £3.5m that will be given to the governing bodies of the country’s most successful sports, will be used to boost their grassroots programmes and help deliver a lasting sporting legacy beyond London 2012. Sport England awarded the funding, which will be used to get another 12,000 people cycling regularly. In order to achieve this, BC will expand the ever-popular Sky Ride Local programme, many of which were over-subscribed in 2011. 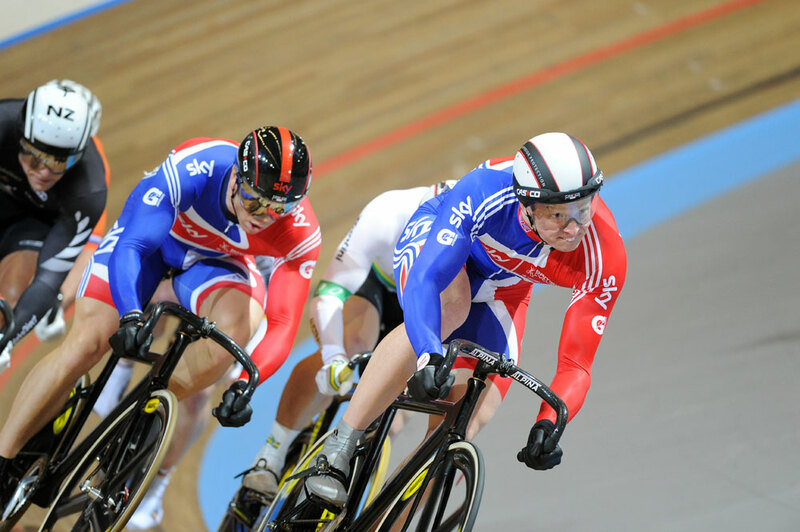 Olympic gold medallist Ed Clancy welcomed the news, saying: “I am delighted that British Cycling has been granted additional funding to develop its participation programmes. “London 2012 is not only about athletes contesting Olympic and Paralympic medals, it is also about getting the nation active and leaving a lasting sport legacy for future generations. James Cracknell and Jerone Walters were forced to abandon their bid to break the 45-year-old Land’s End to John O’Groats tandem record in the early hours of Monday morning. Olympian Cracknell and time trial specialist Walters were just 68 miles from the finish – and within minutes of breaking Pete Swinden and John Withers’ 1996 time of 50 hours, 14 minutes and 25 seconds – when it became clear that mental fatigue was affecting their safety. Richard Gorman, crew chief for the attempt run by Project 7 Racing, made the decision after 773 miles of riding. “It’s the most heart breaking and difficult moment you can possibly imagine,” he said. The pair began their record-breaking attempt at 3am on October 1, and were greeted by record temperatures for this time of year. Despite breaking a crank on their Dolan-made Rocket 2 tandem near the Forth Bridge in Scotland and losing over 20 minutes when they punctured in the middle of the crossing, calculations suggested the pair were within minutes of eclipsing the existing record. Matt Crampton is “definitely ready for a scrap” for places on Great Britain’s team sprint trio at London 2012. “I guess it’s become a little bit of a race for London. It’s good, it’s exciting,” he added. The 24 year old is well aware of the need to “make my place solid on the team.” With Ross Edgar, David Daniell and Queally in the frame, there is great internal competition for the third spot – it will be difficult displacing Jason Kenny or Sir Chris Hoy. “We all train together, so you can see all the time if you’re doing well, or need to step off the gas. It’ll change quickly,” he said. Crampton’s own qualities lie in length work and speed, as well as his training dedication. “It’s difficult because I’ve not raced at all, all year,” he said. “Suddenly you’ve got the nationals and don’t really know where you’re at,” Crampton said pre-race. It’s expected that Crampton will go to the European Track Championships (October 21-23) in Apeldoorn with Jason Queally, Chris Hoy and Jason Kenny in the line-up. Crampton has been training in the UK this year rather than going off to the International Keirin School in Japan. “I wanted to be at home because you feel like you’re missing out on training. I thought it was the best option for me at the time. Racing out there, you don’t have the same building blocks,” he said. As with the whole GB track team, London 2012 is the big goal. What comes to mind when Crampton thinks of London 2012? “I think of the stadium, when we first went in there. I think of loads of people being in there, and the occasion,” he replied. 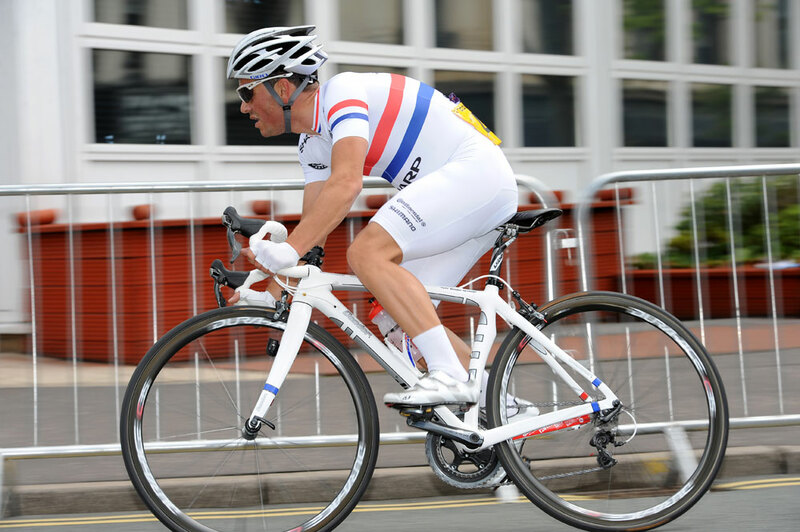 Junior talent Owain Doull will join the GB Academy this winter. The 18 year old Welshman found out the news from Academy coach Chris Newton last Sunday. Doull won two stages of this year’s Junior Tour of Wales on the way; he also claimed a silver medal at the Commonwealth Youth Games road race. He was told the news hours after winning the junior national madison title with Hargroves Cycles teammate Jon Dibben. “Coming into this, we had no idea how we were going at all, coming off the Youth Commonwealth Games and world junior track champs on the road,” Doull said. “We didn’t want to waste any effort. But all the changeovers were spot on,” he added. Both Dibben and Doull rode the recent junior world road championships in Copenhagen too. Dibben was eighth in the time-trial, Doull the highest finishing Briton in the road race in 24th. “It was such a good experience to be out with Cav and that, in the same hotel. It felt like a bigger occasion because we were with the seniors,” said first-year junior Dibben. More new additions to the Academy are expected to be announced in the coming weeks. National Criterium champion Graham Briggs’ move from Rapha-Condor-Sharp to Raleigh for 2012 has been the stand-out domestic transfer announced thus far. Briggs has enjoyed a successful season with John Herety’s team, taking the individual victory in the Peterborough Tour Series round, and posted 12 other top-five finishes. Briggs’s departure from Rapha-Condor-Sharp is expected to be the first of many from the team, as a team spokesman confirmed to Cycling Weekly that the squad will have a different look to it next year. “We wish Graham every success in his new colours, as we do for everyone who moves on,” the source said. Sigma Sport-Specialized have also been busy this week, confirming the signings of time trial specialist Andrew Griffiths from Twenty3c-Orbea, former Irish criterium champion Pete Hawkins and Steven Burke. Burke, the recently-crowned National Pursuit champion, joins from Team UK Youth. The team have also confirmed that Simon Richardson, Tom Murray, Steve Lampier and Tom Last will also be staying for 2012. Wendy Houvenaghel opened the first-ever Chain Reaction Cycles store in Belfast last weekend, with the retailer describing the move as an exciting new chapter in the company’s history. Multiple World and this year’s British Time Trial champion Houvenaghel rode with many local enthusiasts who turned up for the official opening of the company’s 10,000sq ft flagship customer base. The company’s MD, Chris Watson, said: “This is a special day for Chain Reaction Cycles. How’s this for bad luck? In the recent Wiggle Rut sportive (September 26), one rider got taken off his bike by what organisers suspect was a deer. The event is held around Rutland, England’s smallest county, where it’s approaching rutting season. Thankfully both animal and rider were OK. The drama didn’t end there. One rider fell just six miles in, before one of his club mates broke a collarbone after a touch of wheels. Another entrant passed out and landed in a hawthorn bush, but again thankfully escaped serious injury.